When Eric Nauman got the call from Purdue Sports Medicine, he was ready. That’s when Nauman and his team of graduate students got to work in his lab, the Human Injury Research and Regenerative Technologies Lab (HIRRT). They did some rapid prototyping, and experimented with many different types of padding materials. What ultimately worked best was an old-school solution: leather. So how do you size a brace for someone who is 7’ 2”? “We usually make prosthetics and assistive devices for children,” said Nauman. 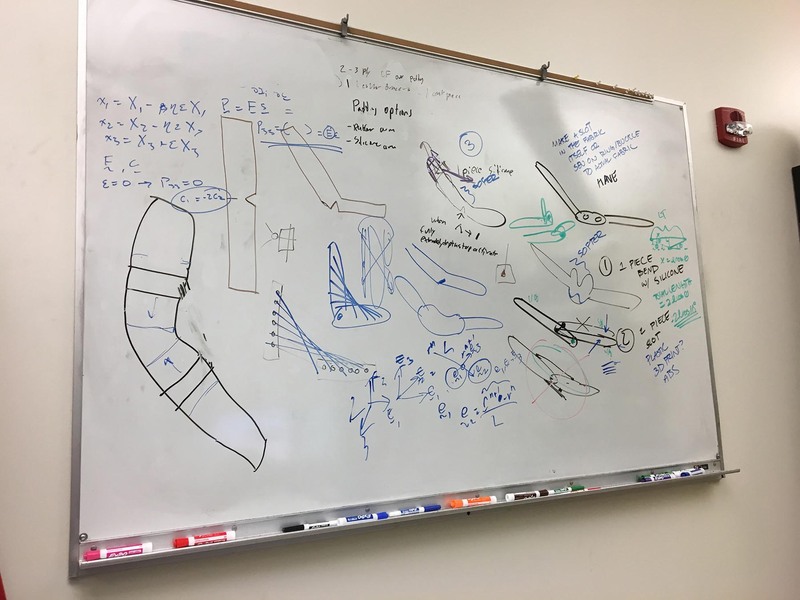 “We didn’t have any models in the lab that were anywhere near the right size.” They attempted to simulate Haas’ arm by dressing a student in many layers of bulky sweatshirts. One student even used the measurements of his leg to substitute for the thickness of Haas’ arm! In the end, Haas sat for a fitting, after which they adjusted the padding to add protection exactly where it was needed.